Stoltmann Law Offices is interested in speaking to those investors who may have suffered losses with Beverly Hills Wealth Management (BHWM) broker Margaret Mulligan Black (aka Margaret Mulligan Scott). Ms. Black recently entered into a cease-and-desist order with the Securities and Exchange Commission (SEC). The cease-and-desist order claims that Black withheld prepaid, unearned advisory fees totaling $131,000 from 63 departing clients who requested terminating their advisory relationship with BHWM despite representations made in its Form ADV brochures and advisory agreements. Specifically, Black and the firm refused to recognize clients’ e-mails and mailed requests as proper termination notices. They instead demanded that the clients send written requests with a “wet signature.” Between March 2013 and April 2018, BHWM and Black continually omitted material facts and made false and misleading statements regarding BHWM’s financial condition in its Firm Brochures. The firm failed to disclose that it was unable to repay its loans during this entire time. BHWM had borrowed $700,000 in order to keep the firm afloat. The firm also owes an additional $75,000 in unpaid interest. These are against securities laws. Margaret Mulligan Black, according to publicly available records with the Financial Industry Regulatory Authority (FINRA), is not currently registered as a broker. She was previously registered with Calton & Associates, Mutual Securities, Purshe Kaplan Sterling Investments and Morgan Stanley from 1979 until 2008, all in Beverly Hills, California. Beverly Hills Wealth Management may be liable for any losses sustained, because the firm had a duty to reasonably supervise Ms. Black while she was registered there. We take cases on a contingency fee basis only. 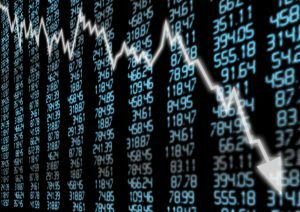 Stoltmann Law Offices is investigating former Western International Securities broker Jorey Bernstein. A customer alleged that Mr. Bernstein participated in illegal interactions and outside business activities with a third party. This can create conflict of interest within the firm. Another customer alleged that Bernstein excessively traded his account and requested damages of $3,000,000. The dispute is currently pending. Excessively trading is also referred to as “churning,” and is when a broker trades in and out of a customer’s account, sometimes daily. This is a tactic used by brokers to generate large commissions for themselves and typically results in the customer paying unnecessary fees. It is against securities laws and internal firm rules. A brokerage firm has a duty to oversee its employees so they do not violate securities laws. 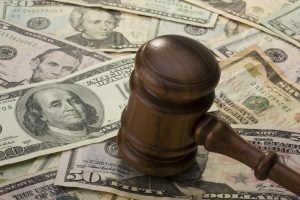 If the firm does not, it may be liable for investment losses in the Financial Industry Regulatory Authority (FINRA) arbitration forum on a contingency fee basis. According to his online, FINRA BrokerCheck report, Jorey Bernstein was previously registered with Citigroup Global Markets in Los Angeles, California from October 2005 until June 2009 and Morgan Stanley in Beverly Hills, California from June 2009 until December 2015. He is currently registered with Western International Securities in Pasadena, California and has been since December 2015. He has one customer dispute against him alleging excessive trading with respects to trades in accounts and one employment separation after allegations. According to a recent Letter of Acceptance, Waiver and Consent (AWC) with the Financial Industry Regulatory Authority (FINRA), MSI Financial Services broker Kelly Barnett allegedly used discretion in the accounts of five customers without written authorization or acceptance of the accounts as discretionary. Kelly Barnett also allegedly falsified notes of client contact. Barnett allegedly authorized discretion in the account of one of her customer’s who had died of a heart attack two days before. He placed two additional trades in his account for the purchase of a UIT and the sale of an ETF. The customer had not given Barnett written authorization to do so before his death. In addition, Kelly Barnett also exercised discretion in four additional customer accounts without a written grant of authorization and without having the accounts accepted as discretionary between January 2014 and November 2015. In total, Kelly Barnett executed 25 discretionary trades in the accounts of the four customers. For this misconduct, he was fined $15,000 and suspended from the industry for six months. Kelly Marvin Barnett was previously registered with B.B. Graham & Company, Morgan Stanley, Morgan Stanley & Co. Inc., Edward Jones in Sarasota, Florida from February 2009 until August 2012, MetLife Securities in Sarasota from August 2012 until December 2015, and FSC Securities Corp in Sarasota from January 2016 until April 2018. He has one criminal disposition against him, and an employment separation after allegations, according to his FINRA BrokerCheck report, online. He is not currently registered as a broker within the industry. If you or someone you know suffered losses with Kelly Barnett and would like to speak to an attorney about your losses, please call us today for a free consultation. Attorneys are standing by. If you or someone you know has lost money with James O’Keefe, you may be able to recover those losses by suing his former firm, Morgan Stanley, in the Financial Industry Regulatory Authority (FINRA) arbitration forum on a contingency fee basis. Mr. O’Keefe was accused of recommending unsuitable stocks from 2001 until 2015. In 2014, he was accused of recommending unsuitable stock investments from October 2007 until September 2014. In a separate complaint, O’Keefe, while registered with Merrill Lynch, was accused of making unsuitable investments and churning accounts. 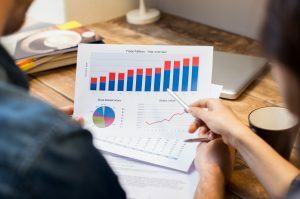 Churning is an especially egregious violation of securities laws, in that it typically leads to large commissions for the broker when he trades in and out of securities, sometimes on a daily basis. It also typically leads to unnecessary fees for the client. Please call us today to speak to an attorney for free about your options of suing Morgan Stanley in the FINRA arbitration forum. The call is free with no obligation. James W. O’Keefe was previously registered with Thomas James Associates from February 1988 until March 1988, Waddell & Reed from June 1988 until October 1988, Merrill Lynch in New York from January 1990 until August 2001, and Citigroup Global Markets in New York from August 2001 until June 2009. He is currently registered with Morgan Stanley in New York, and has been since June 2009. He has four customer disputes against him, alleging unsuitable stock purchases, churning, and other things. He has one criminal final disposition against him. 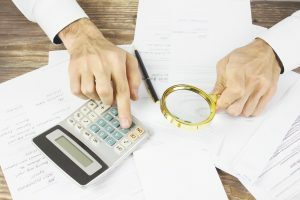 The Financial Industry Regulatory Authority (FINRA) has barred former Morgan Stanley broker Matthew Singer for failing to appear at a hearing in connection with a FINRA investigation. He was being investigated regarding whether he and others made unsuitable options recommendations to customers. Morgan Stanley filed a Form U5 termination notice listing the reason for his termination as “concerns regarding his conduct in a client arbitration matter.” These are against securities laws and internal firm rules. Singer was previously registered with Knight Equity Markets, Knight Capital Markets, Hudson Securities, C.L. King & Associates, Capstone Investments, Ascendiant Capital Markets, FBN Securities, and Morgan Stanley in Aventura, Florida from July 2013 until March 2016. 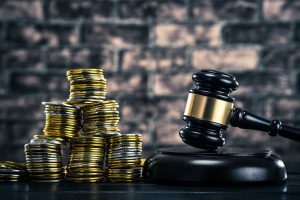 He has three customer disputes against him, alleging unsuitable investments, unsuitable options trading strategies, and misrepresentation and unauthorized trading. He is not currently registered as a broker, according to his online, FINRA BrokerCheck report. According to a recent Letter of Acceptance, Waiver and Consent (AWC) with the Financial Industry Regulatory Authority (FINRA), Thomas Meier, a former Morgan Stanley broker, violated securities laws. Allegedly, over the period of July 2012 until March 2016, Meier effected more than 1,000 unauthorized transactions in the accounts of six customers and exercised discretion without written authorization and without the accounts being accepted as discretionary in the accounts of four other customers. For this, he was barred from the industry. Per his online, FINRA BrokerCheck report, Meier was previously registered with Merrill Lynch form April 1984 until August 1985, Amerifirst Securities Corp from December 1985 until February 1989, Thomas McKinnon Securities in New York, New York from March 1989 until August 1989, FAIC Securities from June 1983 until December 1989, Prudential Securities in New York, from August 1989 until November 1992, Citigroup Global Markets in Miami, Florida from October 1992 until June 2009 and Morgan Stanley in Miami from June 2009 until April 2016. He has 14 customer disputes against him. He is not currently registered as a broker. Please call our securities law firm today based in Chicago, Illinois for a free consultation with one of our attorneys if you feel like you may have a case against Morgan Stanley for Thomas Meier losses. We take cases on a contingency fee basis only, so we only make money if you recover yours. The call is free with no obligation. Attorneys are standing by. We try cases in the FINRA arbitration forum. According to a Decision heard before the Financial Industry Regulatory Authority (FINRA), former Morgan Stanley broker Kenneth Mathieson was suspended for one year in all capacities and fined $50,000 for participating in private securities transactions and engaging in outside business activities without prior written notice to, and permission from, Morgan Stanley. FINRA also found that he submitted a false compliance questionnaire to the firm. In 2013, Morgan Stanley found that Mathieson had engaged in certain activities in connection with a company running an online education business, Aspen University, a private, for-profit school offering online degrees. He also personally invested in Aspen, up to a total of $66,000. He also made purchases in Aspen for his children totaling $30,550, and did not provide Morgan Stanley with notice of this. Mathieson expected to join Aspen’s board of directors and to receive stock options in the company because of his involvement with it. Shortly after Morgan Stanley found this, Mathieson was suspended and then terminated. This was against securities laws and internal firm rules. 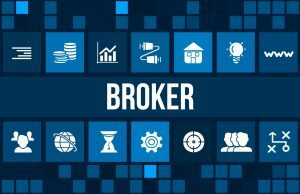 A broker must not engage in outside business activities. Kenneth Mathieson, according to his online, public BrokerCheck report with FINRA, was previously registered with Prudential Securities Inc. in New York, New York from September 1987 until November 1999, Citigroup Global Markets in New York from November 1999 until June 2009, Morgan Stanley in New York from June 2009 until April 2014 and Raymond James in New York from June 2014 until March 2017. He is currently registered with Laidlaw & Company in New York, and has been since February 2017. He has two customer disputes against him, alleging that he falsely and fraudulently induced claimants to hold on to positions they would have otherwise have sold, breach of fiduciary duty, and failure to supervise, and that he was involved in illegal activities involving a customer’s account including unauthorized trading. Please call our securities law offices in Chicago today if you suffered losses with Kenneth Mathieson. You may be able to bring a claim against Morgan Stanley on a contingency fee basis in the FINRA arbitration forum. Attorneys are standing by to take your call and there is no obligation with it. According to a recent Letter of Acceptance, Waiver and Consent (AWC) with the Financial Industry Regulatory Authority (FINRA), Heather VanLandingham, a former Morgan Stanley representative, has been accused of violating securities laws and internal firm rules. Allegedly, in January 2016, while associated with Morgan Stanley, VanLandingham effected transactions in a firm customer’s account without the customer’s knowledge or authorization, which is in violation of FINRA rules. VanLandingham also misrepresented on firm documents that she had spoken with the customer to confirm wire transfer requests when she had not verbally confirmed them. For this she was fined $5,000 and suspended from the industry for 20 business days. According to public records with BrokerCheck, Heather VanLandingham was previously registered with Morgan Stanley in Palm Harbor, Florida from July 2013 until February 2016 and SunTrust Investment Services in Riverview, Florida from April 2016 until February 2018. She has one regulatory matter against her, and is not currently registered as a broker. 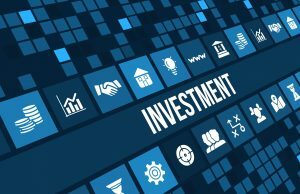 Morgan Stanley may be liable for investment losses on a contingency fee basis if you lost money because of VanLandingham’s recommendations or securities sales. The firm had a duty to reasonably supervise her while she was registered there. Stoltmann Law Offices continues to investigate former Morgan Stanley broker Daniel Abel, and Morgan Stanley. A federal judge recently ruled in the bank’s favor in its bid to block an exiting Abel from contacting his former clients with the firm. The judge extended a restraining order issued this week against Abel, after Morgan Stanley accused him of breaching his non-solicitation and non-disclosure agreements. The case will proceed to arbitration with the Financial Industry Regulatory Authority (FINRA), possibly as early as next week. In Morgan Stanley’s initial complaint, the firm argued that Abel had made a “deliberate breach” of his non-solicitation and non-disclosure agreements to “misappropriate the plaintiff’s confidential information and trade secrets relating to plaintiff’s clients with over an estimated $18 million in combined assets for the benefit of himself and his own new firm.” Abel disputed Morgan Stanley’s claim and cited in his defense the Broker Protocol rule that states what client information exiting brokers can take with them when they leave. Morgan Stanley stopped following Broker Protocol in November. The judge extended the temporary restraining order against Abel to February 20th. It had been previously set to expire on the 6th of February.